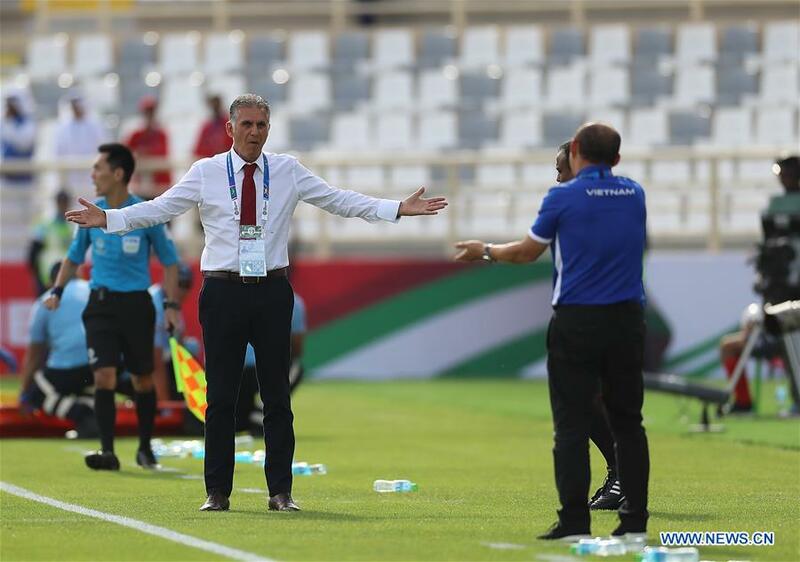 Carlos Queiroz signalled his intention to stand down from his role as head coach of Islamic Republic of Iran on Monday after his side were knocked out of the AFC Asian Cup UAE 2019 by Japan. Yuya Osako's double and a late strike from Genki Haraguchi mean Iran's AFC Asian Cup-winning drought will extend for another four years after a 3-0 loss at Al Ain's Hazza bin Zayed Stadium took the four-time winners into Friday's final at Team Melli's expense. Queiroz has been at the helm of the Iran national team for eight years, but he suggested he will no longer continue a reign which has seen him lead the country to back-to-back appearances at the FIFA World Cup. "The most important thing for me today is to say I am so proud and this venture, this journey, of the Iranian plyers has been fantastic," said Queiroz. "They deserve to be in the final to be honest, but I think the most simple thing is to say, copying the famous song" ‘And now the end is here.' And I'm very happy and very proud because I did it my way and it's time to show my gratitude to the Iranian fans having coached these players and this team for eight years. "I wish all of them the best of success that they deserve." Iran were making their first appearance in the AFC Asian Cup semi-finals since 2004 and shaded a competitive first half, but the game turned in the 56th minute when their defence switched off following a clash between Mortez Pouraliganji and Takumi Minamino. While the Iranians protested to referee Christopher Beath, Minamino played on and delivered the cross from which Osako opened the scoring. The Werder Bremen striker then doubled the lead from the penalty spot before Haraguchi put the result beyond any doubt in injury time with an emphatic strike as the Japanese advanced to a fifth AFC Asian Cup final since 1992. "That moment created an emotional breakdown in my team and after that there was only one team on the pitch and that was Japan," said Queiroz of the opening goal. "Just to say the best team won, the best team deserve to be in the final and congratulations to Japan. "But special congratulations and a huge, huge, huge thank you to my players for everything they gave playing all these years, taking into consideration the difficulties, the adversity, the limits and the conditions they have. They are going to be in my heart for the rest of my life."